It’s easy to see the appeal of the SNES Classic. For $80 gamers get 21 titles, including Star Fox 2 which was never released outside Japan. It fixes some of the problems with the NES Classic while also elevating what made that miniature console so great. When looking at these miniature Nintendo consoles, you have to inspect the size and functionality of the system. 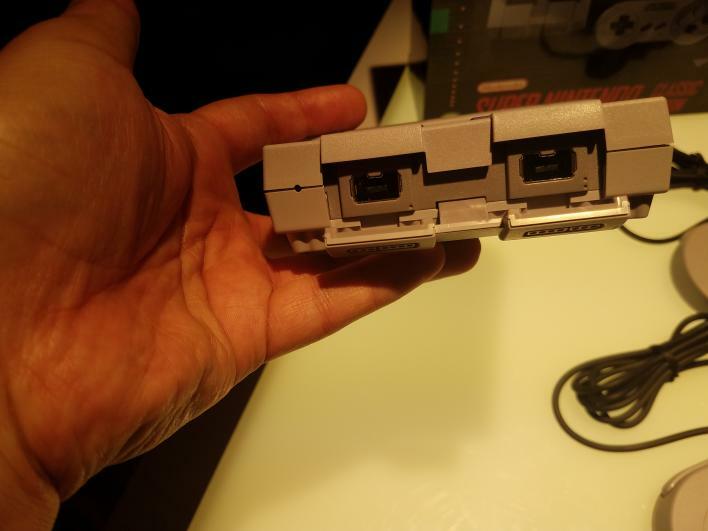 Like its predecessor, the SNES Classic fits in your hand and is actually smaller and lighter than the NES Classic. 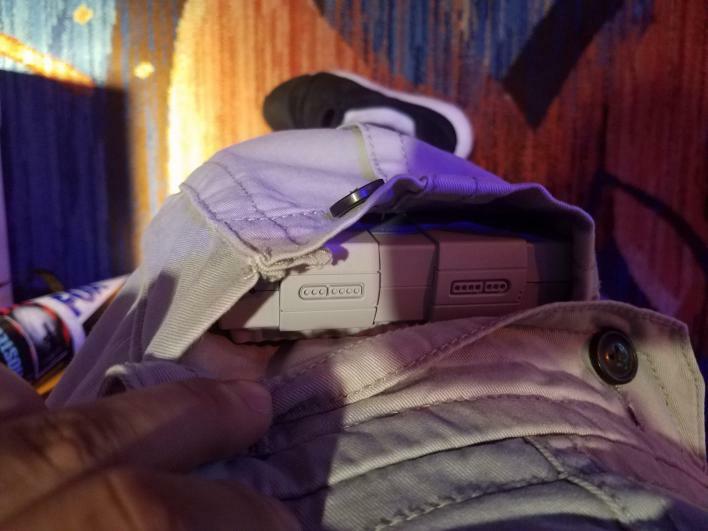 Back in July, during San Diego Comic-Con, I was able to get my hands on the SNES Classic system for the first time and I was able to fit the console in the large side pocket on my shorts. The Power and Reset button are kid-friendly for anyone who wants to introduce their young ones to that era of gaming. The Reset button, especially, is key as it brings players back to the home menu. Both buttons feel sturdy enough to withstand some eager gamers. One big plus for the Super NES Classic is the included second controller, something the NES Classic did not have. Although the NES Classic didn’t come with a lot of two-player games, it made it more costly if you wanted to share the older games with friends or family. 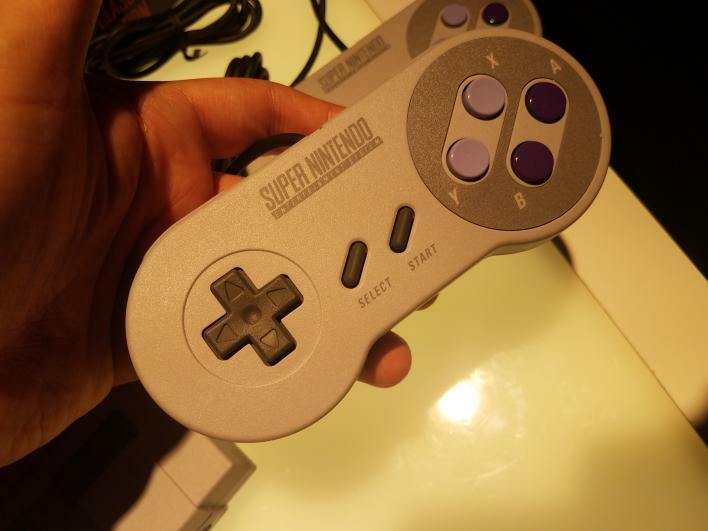 The controllers themselves are shaped like the original Super Nintendo controllers, albeit they do feel a bit smaller.. The buttons work well and I haven’t had them get stuck in my relatively short time with the console, so that’s a plus. The extra two feet of wire on each controller is huge, as the shorter wires hampered many gamers enjoyment of the NES Classic. Gamers can now sit back on their couches and relax with some classic gaming. However, with that extra two feet the “problem” of actually having to get up to reset the system to get to the home menu arises. There is a neat trick that is programmed into the SNES Classic that allows for players to soft reset the game back to the main menu without having to get up. Unfortunately, Nintendo doesn’t really explain that in the instruction manual. I do have a small gripe with where the control ports are hidden. There is a piece of plastic on the front of the console that isn’t terribly difficult to remove, but for young gamers it may be a bit of a pain for them to figure out. Or worse, they break off the plastic trying to get to the controller ports. Like the NES Classic, the interface of the miniature Super Nintendo is simple to navigate. Players can sort the games in the library by Release Date, 2-Player Games, or in Alphabetical order, which makes it easier to find the game you’re looking for. Gamers can also choose how they view the games, in CRT, 4:3 or Pixel Perfect. Pixel Perfect can get the pixels cleaned up to maximize how clear each game looks while CRT brings it back to how they originally looked when the games first came out. I personally prefer fixing up the pixels but I can see why some gamers may want to feel nostalgic. The return of Suspend Points really helps players stop in the middle of a game without needing to jot down passwords or get to some sort of save point. This is especially useful with some of the longer games like Final Fantasy III, The Legend of Zelda: A Link to the Past and Super Metroid. You can also rewind and playback your last Suspend Point, which is an interesting option to have for anyone looking to replay their last run. 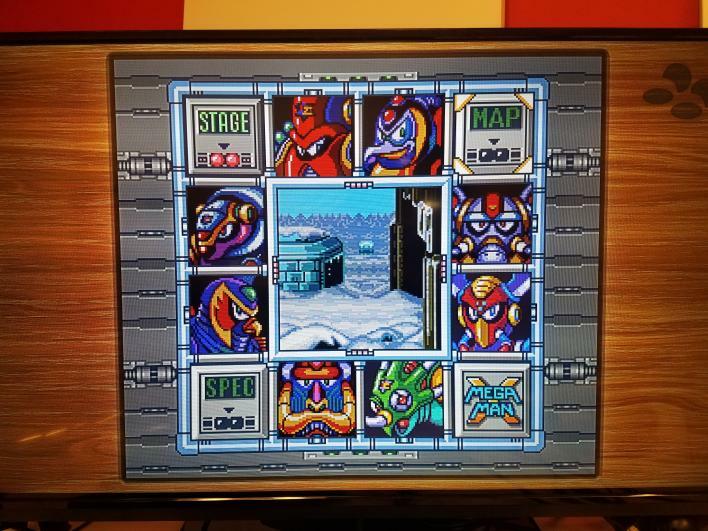 While the games themselves don’t fit to scale with televisions today, the Super NES Classic gives players an option to fill in the blank space with some nifty borders. The Super NES Classic comes with 21 pre-loaded games, which is down from the 30 that came with the NES Classic. What sets it apart, however, are the scope of some of these games. The majority of titles included with the NES Classic did not need a lot of playtime to complete or they were casual games like Doctor Mario. This new console brings a ton of games that are not just casual experiences but can take up hours of your time. And that’s what makes this console so appealing, there is a great mix of games included. There are racing games, fighting games, RPGs and so much more. The inclusion of Star Fox 2, a game that was never released in the West, is also appealing for gamers who want something new. The Super Nintendo was my first console growing up so the system has a special place in my heart. The Super NES Classic tugs at those heartstrings and brings some of the most influential games back in a portable system that is easy to travel with as well as kid-friendly. The shortcomings of the NES Classic were addressed by adding longer wires and packing in a second controller with the system for use with a library of some of the best games ever created. For $79.99, gamers who grew up with the SNES and those looking to experience it for the first time will get the most for that price. There’s 21 titles, each offering something different that will bring hours of fun that you won’t want to miss. 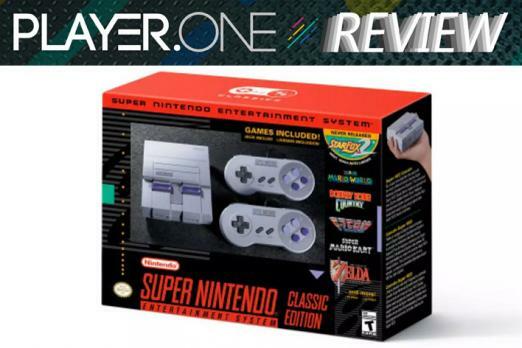 For $79.99, gamers who grew up with the SNES and those looking to experience it for the first time will get the most for that price.